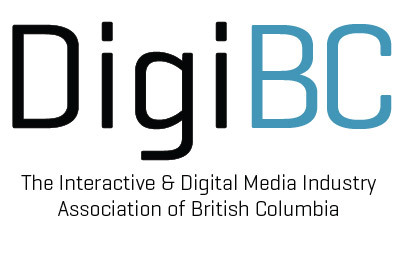 DigiBC is conducting an audit of how inclusive the digital media workplace is for British Columbians. As part of this audit, we using an internationally recognized auditing tool to measure where digital media studios are in their journey towards fostering more diverse, equitable and inclusive workplaces. This survey covers three foundational categories of benchmarks, using a series of yes/no questions. This survey takes about seven minutes to complete. There is a separate survey specifically for hiring, training, and other related internal activities. If you are able to contribute to measuring those benchmarks, please use the link at the end of this survey. Thank you for making the time to contribute to this audit. There is no D&I vision, strategy, imperative, business case, goals, policies, principles, or program. There is no linkage of D&I to the vision, mission, and goals of the organization. If a D&I strategy exists, it is limited only to human resource functions. D&I is narrowly defined, referring only to some underrepresented groups. The focus is primarily on numbers of people from various groups represented at different organizational levels. Equal opportunity, disability access, age discrimination, or other diversity-related policies have been adopted primarily to meet compliance requirements and prevent damaging legal action or publicity. The organization has examined its systems, practices, requirements, and organizational culture and created strategies to reduce barriers to inclusion. A compelling D&I vision, strategy, and business case has been developed and communicated to all employees. It describes the multiple ways that individuals, teams, and the organization benefit from D&I. D&I is defined broadly to include dimensions beyond gender, age, disability, and other characteristics. D&I qualitative and quantitative goals that include input from a variety of internal and external stakeholders are being developed. The organization’s D&I vision and goals, as well as the requirement to embed equity, prevent harassment, and reduce discrimination, are fully supported and rewarded. The majority of stakeholders acknowledge that D&I is important for contributing to the success of the organization. D&I competencies that help achieve the D&I strategy are demonstrated by a majority of employees. D&I is well integrated into the organization’s strategy. D&I is embedded in organizational culture and is not seen as an isolated program but rather as a core value, a source of innovation, and a means to growth and success. All the major components of D&I work, including vision, strategy, business case or rationale, goals, policies, principles, and competencies, are regularly reviewed. The D&I strategy contributes to specific accomplishments and the organization’s overall success in observable, measurable ways. leader in D&I and is frequently acknowledged, cited, and benchmarked for its pioneering D&I accomplishments. There is little or no leadership involvement or accountability for D&I. Leaders consistently see differences primarily as problematic rather than as opportunities for enrichment, progress and success. Leaders are generally unfamiliar with D&I and require instructions or scripts to discuss it. Although leaders accept some responsibility for D&I, the focus is mainly on compliance. Leaders consistently avoid or are reluctant to address challenging D&I situations. Leaders are knowledgeable about D&I and accept managing D&I as one of their responsibilities. Leaders willingly write and speak internally and publically about the organization’s D&I efforts. Leaders engage in D&I issues important to employees and are actively involved in diversity networks. To increase their knowledge and competence, leaders seek coaching in D&I and provide coaching and mentoring to others. Leaders are involved in D&I initiatives, communicate the D&I strategy, and provide recognition for D&I champions and advocates. Leaders hold themselves and others responsible for achieving the D&I goals and objectives. The board of directors is diverse, is engaged in D&I issues, and holds the leadership team accountable for achieving the D&I strategy. Managing D&I is an essential leadership competency and leaders are rated on it. A large majority of employees across an array of diversity dimensions rate their leaders as treating them fairly and inclusively. Management performance, pay, bonuses, and promotions are tied to a variety of D&I indicators. Leaders are seen as change agents and role models and inspire others to take individual responsibility and become role models themselves. Leaders and board members publicly support internal and external diversity-related initiatives, even if they are perceived to be controversial. Leaders and board members understand that D&I is systemic. They are fully committed to holding people at all levels accountable for achieving the D&I objectives. There is no organizational structure or budget for D&I. No one in the organization has formal responsibility for addressing D&I issues. D&I is simply an additional duty of the human resources, legal, or other department. Diversity networks and D&I committees may exist, but they have no real power, influence, or resources. There is a D&I champion/leader and staff with responsibility for D&I. A few diversity networks with budget and resources exist. An organization-wide D&I council/ committee is given visible support by leaders, represents internal stakeholders, and impacts D&I efforts. Some budget has been allocated to cover D&I implementation. The D&I staff are hired for their competence and their ability to bring diverse perspectives to the work and not just because they represent an identity group traditionally labeled as underrepresented. If the organization has labor unions or similar groups, they are engaged in D&I efforts. D&I staff are called upon for advice, counsel, and content expertise. The organization provides adequate resources, staffing, and support to help ensure implementation of its D&I strategy. The D&I function is headed by an influential leader who is knowledgeable about D&I. D&I councils/committees are composed of line and staff leaders representing the diversity of the organization. Diversity networks are recognized as credible, valued resources to the organization. Departments or divisions have D&I councils/committees in alignment with the organization’s strategy. The most senior D&I professional is an equal and influential partner on the senior leadership team. Leaders at all levels lead the organization’s D&I initiatives and are regarded as D&I champions. Diversity networks serve as partners and advise on recruitment, communications, risk management, product and service development, community engagement, and other organizational issues. D&I is well integrated into core organizational systems and practices.